A captivating assortment of Fall flowers designed by one of our first class florist. 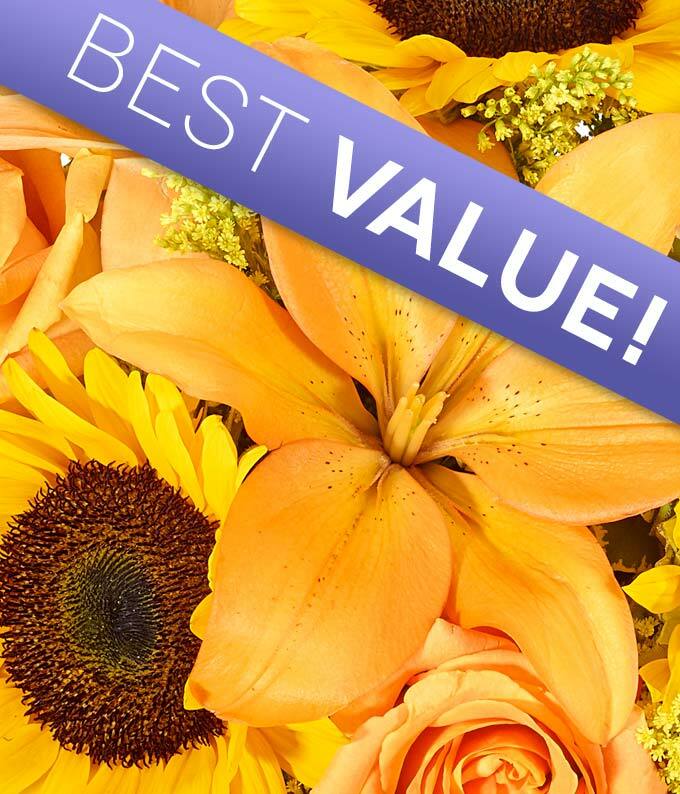 This bouquet is beautifully hand crafted and delivered in a vase to your recipient. Makes the perfect gift for Birthdays, holiday parties or just to let someone know you are thinking of them.